The founder of Dog Date Afternoon came to us after discovering a unique way of helping dog lovers find dates. It brought people together with strong mutual interests and a bit of puppy love. This community promotes a greater level of trust between users. We helped take the idea from concept to fully functional iOS app. Users were required to create an extensive profile, which included details about their dog. We focused on a low friction screen to ease the burden of info submission. We designed a sign-up process that had logical progression between categories of information, sticking to Apple’s human interface guidelines. We also used Facebook Connect to pre-fill parts of the profile to help further reduce profile creation time. We needed to maximize two KPIs: increasing user engagement on the screen where people swipe left/right to decide if they’d like to match with other users and continuously improving the amount of messages users send between matches. We needed to maximize two KPIs: 1) user engagement on the left/right swipe screen to decide if they’d like to match with other users 2) number of messages exchanged between matched users. 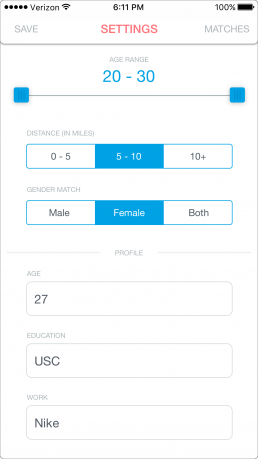 Providing users valuable information about potential matches keeps them engaged during the swipe phase. Constantly listening to user feedback has helped us incrementally improve this module and seek out other KIP-boosting methods. Dog Date Afternoon is a native iOS app with a backend built on an open source Parse server hosted on AWS. 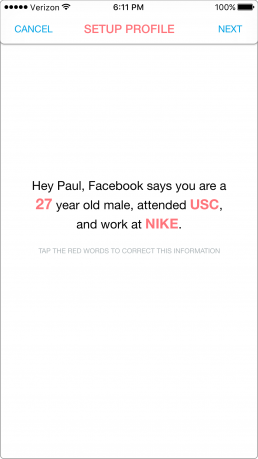 We built an algorithm that helped match users in real time based on preferences, location, and age. 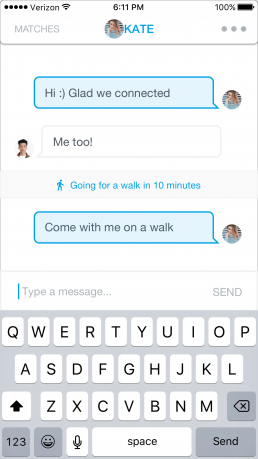 We used Parse to manage push notifications for matches, events, and messages. Our team uploaded the app to the App Store and provided support until Dog Date Afternoon could find its own team. Staying true to our philosophy of helping startups transition internally, we made sure Dog Date Afternoon’s move went smoothly. We walked the incoming team through the project architecture, code, and production environment. Our team has remained available to answer questions even past our engagement. Are you ready to get started? Let's talk today. On the fence? Unsure of development lingo and strategy? Don’t sweat the small stuff.Send us a message or call now to have a conversation with one of our experts.